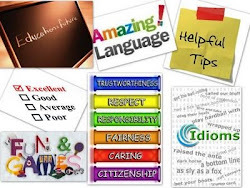 English Teaching Zone: Using Socratic Questions to Trans4 minds in your lessons‏! Using Socratic Questions to Trans4 minds in your lessons‏! Socrates was one of the greatest educators who taught by asking questions and thus drawing out answers from his pupils ('ex duco', means to 'lead out', which is the root of 'education'). My experience as a teacher and coordinator has shown me that teachers tend to favour closed-ended questions in their lessons and they often complain that their students do not seem motivated to take part in discussions. What these teachers might not be aware of is that closed-ended questions are a simple way to close down a conversation. Open questions lead to long answers, whilst closed questions lead to short answers, typically one word, such as 'yes' and 'no'. When you are unintentionally forcing your students to give short answers, this legitimizes short comments on your side. This leads to a spiral of brevity that quickly ends the conversation. And this exactly what teachers don't want to take place. So, to make your conversation classes more vivid, beware the way you pose questions to your students. Going back to Socrates, here are the six types of questions he used to ask his pupils. Probably often to their initial annoyance but more often to their ultimate delight. 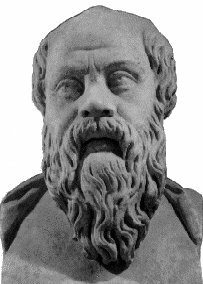 He was a man of remarkable integrity and his story makes for marvelous reading.The overall purpose of Socratic questioning, is to challenge accuracy and completeness of thinking in a way that acts to move people towards their ultimate goal. Have a look and get the most of your conversation classes! How does this relate to our discussion? How can you verify or disapprove that assumption? What would be an example? What do you think causes to happen...? Why:? What would be an alternative? What is another way to look at it? Would you explain why it is necessary or beneficial, and who benefits? What is a counterargument for...? How does...tie in with what we learned before? How does...apply to everyday life? Magic Painting - kids must-do activity! !